Every year, Earth Day is celebrated around the world by millions of supporters dedicated to protecting the environment. In the last few years, many have expressed increased interest in sustainable investing and/or socially responsible investing as a new way to protect our planet, both environmentally and socially. In fact, interest in the topic has grown by 76% over the past two years. So what exactly is sustainable investing and socially responsible investing? And is it just a passing trend or the status quo of the future? Sustainable investing and socially responsible investing refers to the practice of developing portfolios that are personalized to specific environmental or social causes. For example, those interested in improving access to clean drinking water may feel empowered to invest in companies that act in accordance with those values. A recent poll of Denver high net worth investors showed that half or more are familiar with socially responsible and sustainable investing on an unaided basis. After being provided brief descriptions of each term, they were most receptive to sustainable investing (68%), and 51% believed that it was a “good” investment in 2016. Socially responsible investing was not far behind, with 62% expressing interest and 46% viewing it as a “good” investment. Additionally, half have taken some type of action in this area such as investing in clean energy funds. These results are further bolstered by the current investment climate where $1 out of every $6 of professionally managed assets in the U.S. is invested in some form of sustainable investment, to a total of $6.57 trillion. I believe that sustainable investing and socially responsible investing is here to stay. There are some that believe there is a trade off in activating portfolios toward positive impact. However, research shows that investing in sustainability has usually met — and often exceeded — the performance of comparable traditional investments. This is on both an absolute and a risk-adjusted basis, across asset classes and over time. Investors are becoming increasingly attracted to using their portfolios as a vehicle to create positive change. Sustainable and socially responsible investing offers these investors the opportunity to personalize their strategies, themes and goals while supporting positive local or global causes. If you are considering these types of investment for your portfolio, it’s important to have a complete understanding of your options and the implications of each before making a decision. Investors should not adopt a one-size-fits-all approach to evaluating impact investment opportunities. Just as investors have unique financial objectives, they tend to have very different impact goals as well. An awareness of these general considerations can help investors navigate their search for investments that provide financial returns with measurable impact. 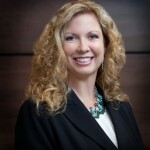 Shelley Ford is a Financial Advisor with the Pelican Bay Group of the Global Wealth Management Division of Morgan Stanley in Denver. The information contained in this interview is not a solicitation to purchase or sell investments. Any information presented is general in nature and not intended to provide individually tailored investment advice. The strategies and/or investments referenced may not be suitable for all investors as the appropriateness of a particular investment or strategy will depend on an investor’s individual circumstances and objectives. Investing involves risks and there is always the potential of losing money when you invest. The views expressed herein are those of the author and may not necessarily reflect the views of Morgan Stanley Wealth Management, or its affiliates. Morgan Stanley Smith Barney, LLC, member SIPC.